We arrived at Cebu airport around 4am but we couldn’t check-in to our hotel until mid-morning. Instead of trying our luck, we found some rather uncomfortable plastic seats in one of the lounges and tried to kip for a few hours. By 7am, we’d both had enough and decided to head to our booked hotel to try our luck. We struggled to find any decent hostels in Cebu when doing our research and in general we found that the Philippines probably catered more towards holidaymakers than backpackers as most of the accommodation available were hotels which were much pricier than standard hostels. With little choice, we pre-booked a night at one of the hotel’s just outside of downtown Cebu. Arriving by taxi, we were in luck and were able to check into the hotel at 8am. We had a decent room and showered as soon as we got into the room before taking a little nap. Around midday, we headed out. Cebu is a very busy city and we could immediately tell that there was a lot of poverty in the country. It was also quite clear who the rich and the poor were. What also hit us was the number of white old men with their young Philippino wives… They were everywhere and I couldn’t help judging these dirty old men. 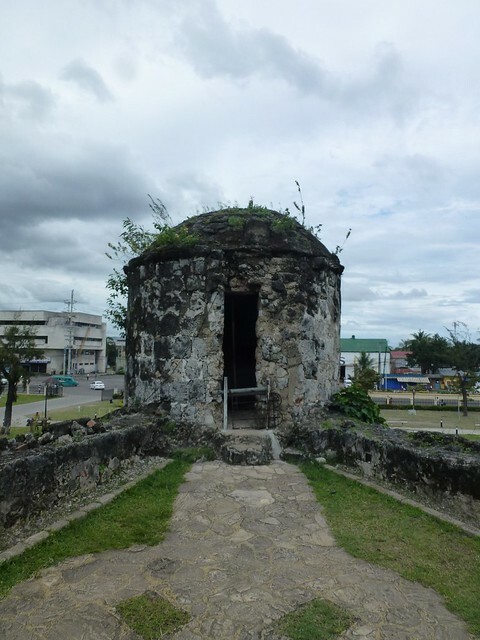 We headed into into downtown Cebu which mostly consists of a range of market shops as well as larger shopping malls and the remains of a large fort called Fort San Pedro. We ended up doing a bit of shopping and purchased a new padlock for John’s rucksack and a new travel adapter as one of our plug’s had packed in. After buying these essentials, we headed to the fort and explored the grounds. 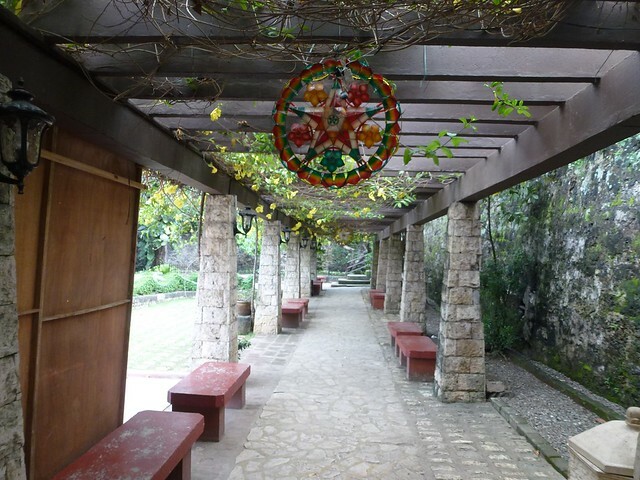 It was an interesting place to go to as neither myself of John knew very much about the Philippines and it gave us a brief insight into the country’s history when it was occupied by the Spaniards. Even now, the Philippine language incorporates some of the Spanish language including the numbers which really surprised us. 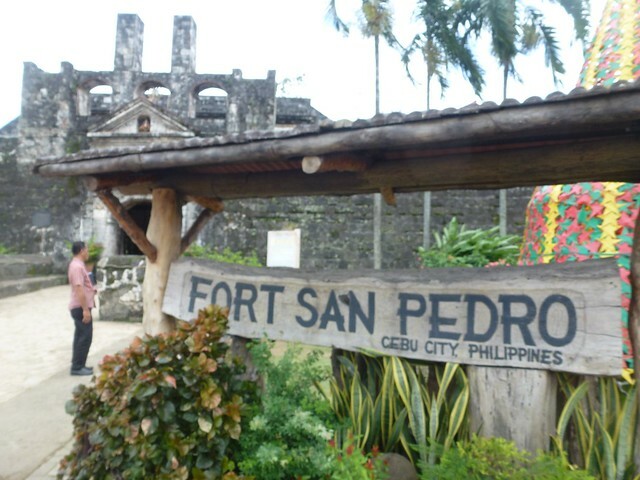 This entry was posted in Philippines and tagged city, fort, shopping. Bookmark the permalink. ← Day 219 – Is Singapore zoo the best zoo ever?